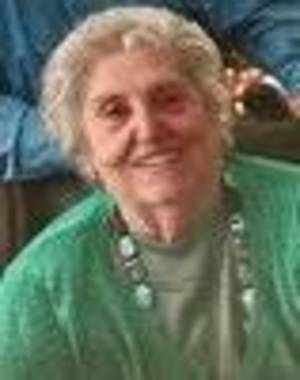 Frances J. Battista, 86, of Colts Neck, passed away on Sunday, April 7. Born in Nanticoke, PA. she married her loving husband Ralph in July 1956. They moved to Colts Neck in 1962 where they raised their family. Fran was the Director of Nursing at Emery Manor in Matawan for many years. In her retirement she enjoyed baking and was known by many for her delicious cookies. Fran always enjoyed having her family around and especially enjoyed when everyone got together for holidays. She was happiest when surrounded by her grandchildren and great-grandchildren. Fran is survived by her husband, Ralph N. Battista; her children Anthony Battista and wife Mary; Joseph Battista and wife, Michele; Lisa Battista and partner, Doug Murphy; John Battista and partner, Agnes Debicz; Paul Battista and wife, Lisa; her son-in-law Richard Caiafa; her sister Mary Alby; and her 12 grandchildren and 14 great grandchildren. Fran was preceded in death by her daughter, Maria Caiafa, on February 23, 2019 and by an infant daughter, Dorothy. Visitation will be on Wednesday, April 10 from 2 to 4 and 7 to 9 PM at the Holmdel Funeral Home, 26 South Holmdel Road, Holmdel, NJ. A Mass of Christian Burial will be offered at St. Leo the Great R.C. Church, 50 Hurleys Lane, Lincroft, NJ on Thursday April 11 at 11:30 AM. Entombment will follow at St. Gabriel Mausoleum, 549 County Road 520, Marlboro, NJ. To share a memory of Fran or to post a condolence for her family, please visit her page of tributes at www.holmdelfuneralhome.com.